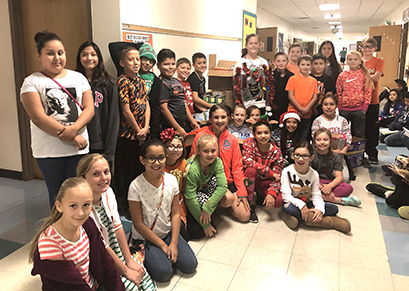 The Yucca Elementary School Student Council, in conjunction with J&J Home Care Inc., recently organized a schoolwide food drive to benefit Artesia Emergency Relief. The council rallied each classroom in a competition to collect the most nonperishable food. A total of 2,300 cans were collected. J&J is very proud of each student who participated and helped those in need in the community.